The Campus Centre is located at the heart of the Luton campus overlooking St Mary's Church, a historically significant building. 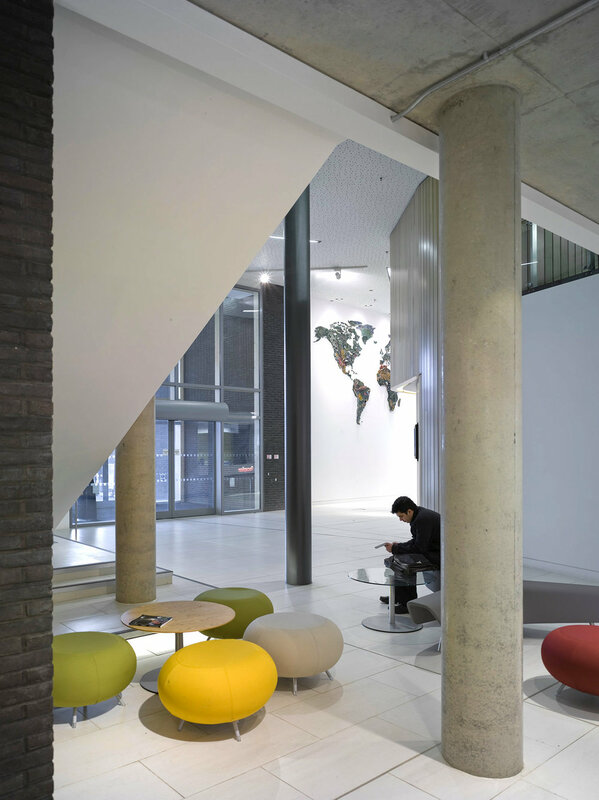 The facility provides much needed social and informal learning space, along with student facing services, teaching facilities and senior management offices. 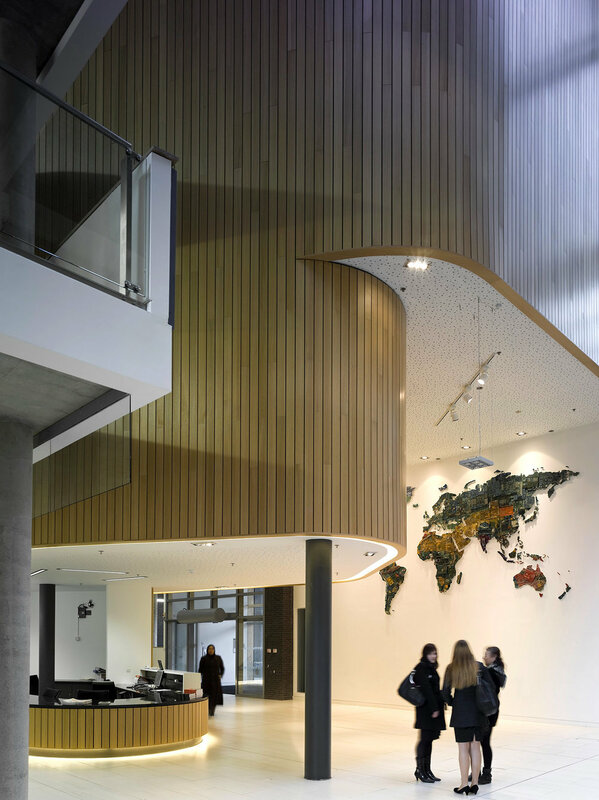 It effectively connects previously separated buildings and dramatically changes the whole dynamic of the campus creating an open and dramatic new front door. 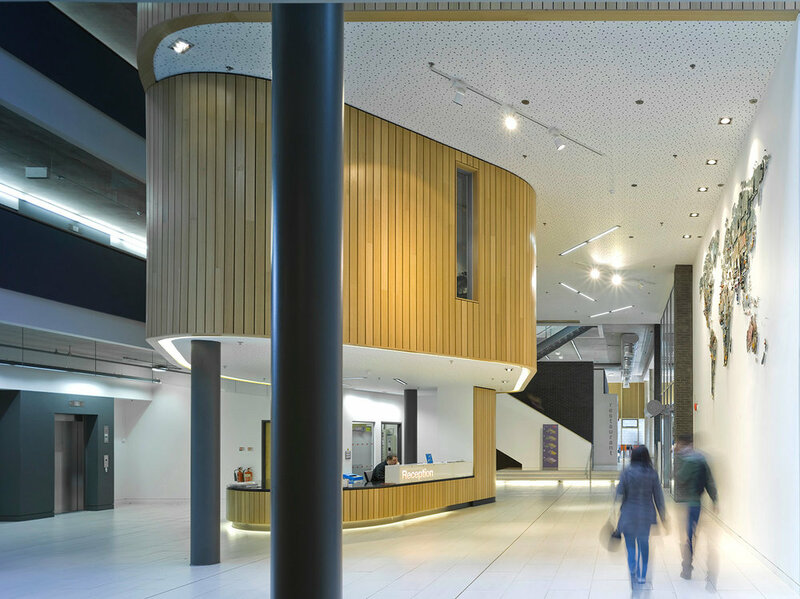 The scheme incorporates e-stack low energy ventilation- which enables natural ventilation within deeper plan areas without the need for energy hungry mechanical systems. 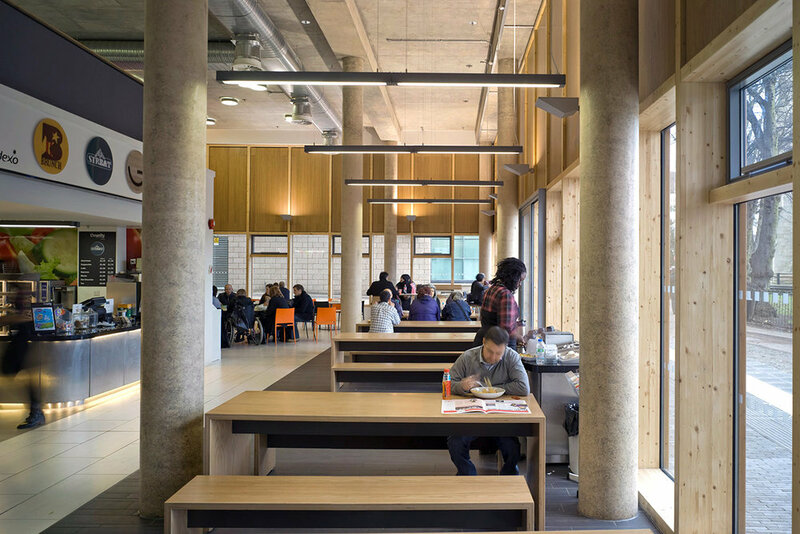 As the first new academic facility delivered through the 2007 Masterplan, the Campus Centre plays a significant role in changing the perception and identity of the University, promoting the campus to prospective students and the wider community as well as acting as a catalyst for future development.